Many light functions such as a headlight or a Mars light. 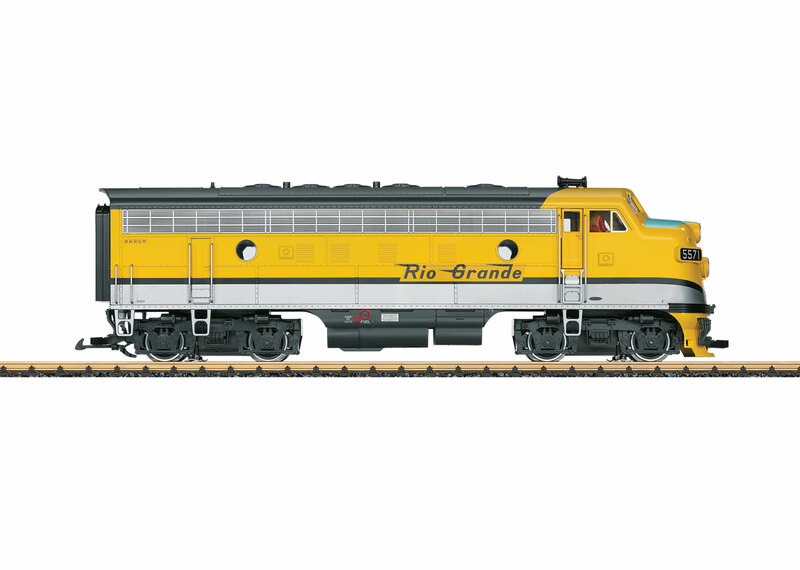 This is a model of an EMD F7 A unit diesel locomotive painted and lettered for the Denver & Rio Grande Western Railroad. The paint and lettering are prototypical for Era III. The locomotive has traction tires and both trucks are driven by powerful ball bearing Bühler motors. It has an mfx/DCC decoder for controlling a variety of light and sound functions digitally. There is a socket built into the rear of this A unit locomotive to supply power from the decoder to the speaker in the B unit locomotive that was made to accompany this engine. The locomotive has many separately applied details, including cab doors that can be opened. Length over the coupler 61 cm / 24". 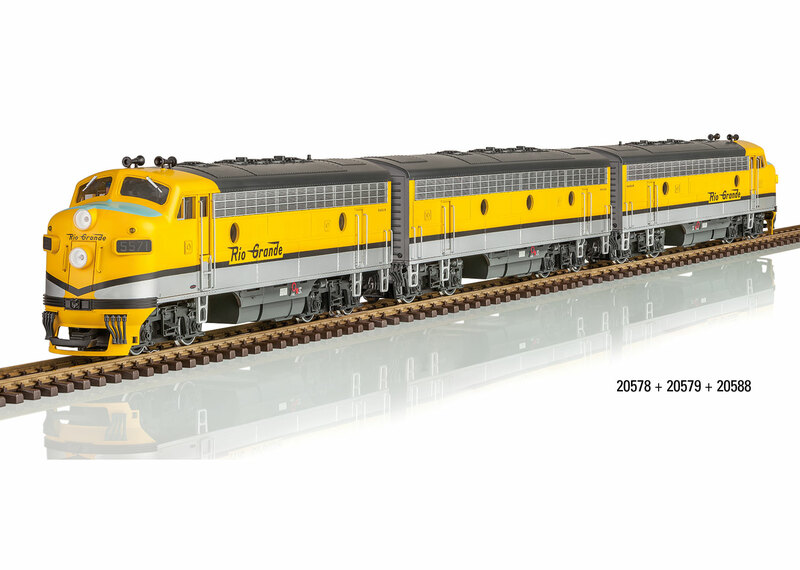 The B unit to go with this locomotive is available under item number 20588, and another A unit with a different road number is available under item number 20579. A typical Era III passenger train can be made with the new D&RGW cars that are also available.